As we think about home loans, we have to think about mortgage identity theft risks when we consider the number of parties involved, their real motives, and sloppy processes that we have witnessed in the past few years. Mortgage transactions and related processes pose great identity theft risks to consumers in particular. As we discuss some of the mortgage identity theft risks, we have to consider that consumers are part of the problem because they are not always educated about the best mortgage transaction practices in order to reduce their risks. Mortgage brokers are also not certainly motivated by educating their loan customers because increased risk awareness may cost them some business. Consumers place themselves at mortgage identity theft risks because they apply with many loan places until they find what they like when they are shopping for a house or a mortgage. In the process, mortgage applicants are often eager to share as many documents as requested by mortgage brokers and bankers to secure a mortgage that they like as quickly as possible. This careless practice is often instigated by constant low rate mortgage ads and greed. As consumers shop for the best possible deal, they continue to share additional and unnecessary information with multiple parties thus they become Identity Obese in the process. Also, real estate agents and mortgage brokers are often less concerned with identity theft risks and more concerned with sales commissions which is why educated consumers are not beneficial to everyone. They take advantage of this weakness on the part of consumers as well well as fluctuating rates to demand whatever information they please without much thought to the risks to their companies and customers. Also as we witnessed during the real estate and mortgage boom, the industry had not adopted automation, privacy and security especially with smaller offices of mortgage brokers and agents who had just joined the mortgage industry with little effort and education to make a quick and big buck. 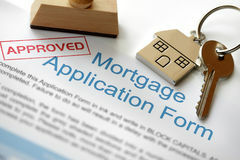 If you had applied for mortgage or were somewhat involved, you would have noticed the amount of paper piled up in the mortgage offices and banks which had come through mail, fax, email, and hand delivery. The overwhelmed mortgage system combined with uneducated agents and consumers resulted in huge mortgage identity theft risks. Many mortgage applicants complained about duplicate requests for the same documents which were sent unsecured over emails and faxes. Only the mortgage brokers and agents would be able to tell how unorganized and secure their offices were when it came to collecting, retaining, and discarding documents. It would be nice to think that all unneeded documents were properly shredded and securely discarded but then we would be fooling ourselves. One thing we have to remember as consumers is that opportunities are not going to disappear overnight as we are often told. Consumers should be selective and thoughtful when shopping for a house or a mortgage. They should ask all the questions and be clear about what they want before filling out yet another application. Businesses should also know that as they collect and retain personal documents, they can become targets of a highly publicized data breach and face lawsuits and financial losses. They should collect the minimum required documentation to complete a transaction, secure all collected information, and discard any personal information that they no longer need whether email attachments or paper. Return to the blog after reading about mortgage identity theft risks.